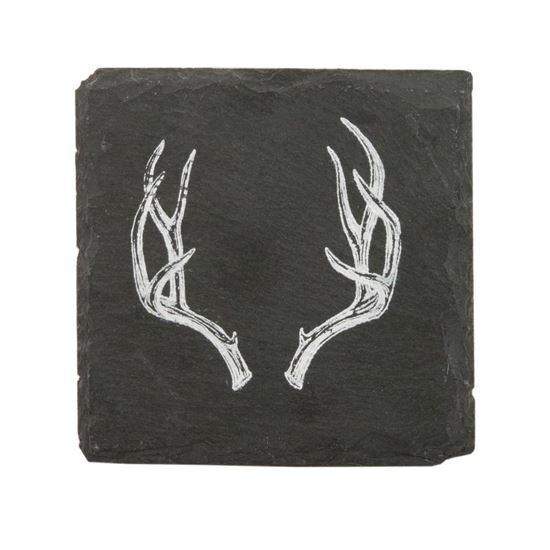 This set of 4 antler printed slate coasters is a must-have for anyone hosting holiday gatherings. The cheerful holiday print will dress up any table, plus slate material allows yours guests to write their names in chalk on their coasters. Food safe. Velvet backed to protect tabletop. Natural Slate.